In September, President Donald Trump nominated three new members, who, together with two nominees already awaiting Senate confirmation, would restore the bank board to full strength. It has been a rough few years for the Export-Import Bank of the United States (Ex-Im Bank) and the companies that depend on it, but Ex-Im Bank’s prospects finally appear to be brightening. Since 2015, the bank’s five-member board has been operating without the three members needed to approve loans of more than $10 million. This has hampered US-based companies seeking to compete internationally on large capital projects that generate exports. In September, President Donald Trump nominated three new members who, together with two nominees already awaiting Senate confirmation, would restore the bank board to full strength. It cannot happen fast enough for US companies that rely on the bank to help finance capital projects that support breakbulk and project cargo shipments. “It’s very urgent that we get a board quorum as soon as possible,” said Capt. William G. Schubert, president of Houston-based International Trade & Transportation, which works closely with project shippers that use Ex-Im Bank. Ex-Im Bank has been caught in political crossfire from conservative groups such as the Heritage Foundation and “Tea Party” activists who say the government should not be involved in export credit financing. US contractors, manufacturers, suppliers, and US-flag ocean carriers say Ex-Im Bank is essential if US-based companies are to compete with more than 60 other nations that provide export credit and, in some cases, such as China, have been accused of using it for geopolitical advantage. Ex-Im Bank’s inability to approve transactions of more than $10 million has hampered US companies involved in big projects where a plant construction module can cost $500 million or more. 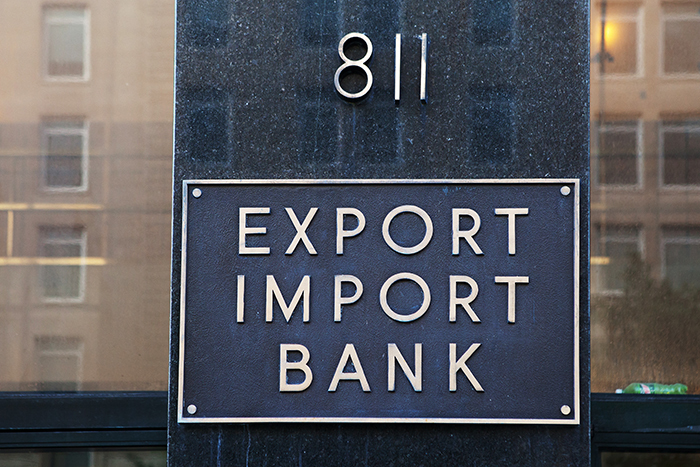 Ex-Im Bank provides loans to foreign companies buying US exports, as well as credit programs aimed at helping small businesses secure necessary capital and bringing in new international customers. It also provides insurance on receivables so that an exporter is covered if the customer does not pay its bills. Supporters of the bank say it helps US companies obtain funding when traditional commercial financing is unavailable, especially in regions with high risk exposure or poorly developed capital markets. Trump has given conflicting signals on Ex-Im Bank. He criticized the agency on the campaign trail, and outraged Ex-Im Bank supporters by nominating former US Rep. Scott Garrett, R-NJ, who had repeatedly called for the bank’s abolition, as board chairman. Timmons said the National Association of Manufacturers supports confirmation of Trump’s three latest nominees and of his previous nomination of former US Rep. Spencer Bachus, R-Ala., as vice chairman. “At the same time, we continue to call on the Senate to oppose the confirmation of Scott Garrett, who seeks to lead the Ex-Im Bank despite a long history of actions and statements designed to destroy the agency itself,” Timmons said. The nominations of Garrett and Bachus, who has been an Ex-Im Bank supporter, have been stalled in the Senate Finance Committee. Reed most recently was president of the International Food Information Council Foundation, and previously was senior adviser to Treasury secretaries John Snow and Henry Paulson, and head of the Treasury Department’s Community Development Financial Institutions Fund. Slacik was Ex-Im Bank’s chief banking officer from September 2013 to May 2016 under the Obama administration. She previously was a managing director of J.P. Morgan and had various management roles at Citibank. Pryor is the former vice president of external affairs for the Overseas Private Investment Corp.